Existing Customer with Questions on your account? *Classic Formula is the original formula many of us first fell in love with! You can purchase the original formula on other flavors! Just select the “Classic” formula when placing items in your cart. We still offer the Original formula on Wild Berry. 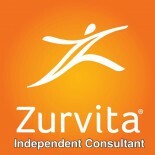 This entry was posted on July 28, 2017 by Zurvita.com/HealthRoads in Functional food, Ingredients, Nutrition, Nutrition and Wellness, United States, Zeal For Life, Zeal For Life Products, Zeal Original Formula and tagged PREFERRED CUSTOMERS, ZEAL BOGO, ZEAL LEMON LIME, ZEAL LIMA LIMON, ZEAL NEW FLAVOR, ZURVITA NEW FLAVOR.